Over the last decade or so, the magic of chasing and breaking world records has gone from athletics. The days where it would be the biggest goal in an athletes career other than winning the Olympics has been reduced to only an extra bonus. Nowadays, it seems that athletes have been drawn away from the want to go after world records due to the large amounts of money being offered over in the road races and endorsement deals they would gain from winning a world championships or Diamond League series. For one to break a world record, they must commit to going after the time very early on in the race, however this tactic has become feared by many athletes with its high risk factor. What is seemingly lost from not being able to last out a hard pace is now seen to be more than what would be gained from succeeding from the commitment to chase the times. 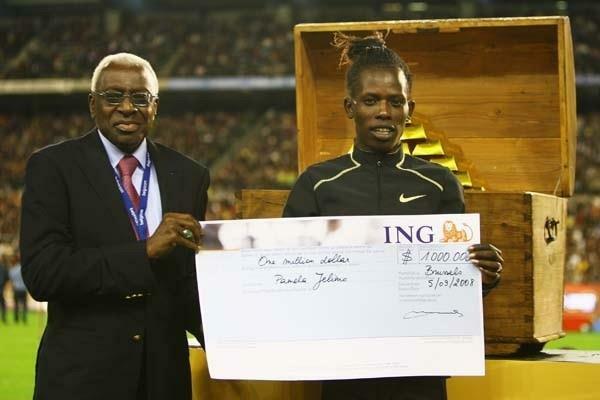 This would be due to the very large sums which are won on the circuit in modern athletics with those overall winners across the Diamond League taking home $40,000 USD. As a result, I think that more than anything, athletes are scared to chase times and now much prefer to sit in the pack with the chance of being able to out-kick their opponents over the last lao to take victory. Another disruption which has risen so strongly to prominence over the last few years is the much greater emphasis on winning main championship races. This has been seen most evidently by athletes such as Mo Farah who focuses his entire season on peaking perfectly for the Worlds or Olympics which effectively gives up any possibility to run fast times in the build up to these races as the athletes wont taper fully mid-season. I don’t think this is a suicidal tactic necessarily for running fast times as we saw two years ago in the Monaco Diamond League where Asbel Kiprop (3:27.72) and Mo Farah (3:28.81) pulled away to become the 4th and 6th fastest ever over 1500m respectively. This discussion over the world records in middle distance events such as the mile and 1500m have been gaining in momentum this year once more. Some of the worlds top athletes such as Ayanleh Souleiman and Kiprop have been talking about their attempts to chase these world records, both held by Hicham El Guerrouj, 3:43.13 and 3:26.00 respectively, however the closest attempt as of yet remains the run in Monaco last year by Silas Kipligat 3:27.64, with this years Monaco Diamond League fast approaching, the hype will of course rise once again. This time – which we speculate every time a strong field is assembled – the world record could be under serious threat once more, the field for the 2015 Monaco 1500m is as strong as any ever assembled, very much resembling that of the one which raced in 2013. 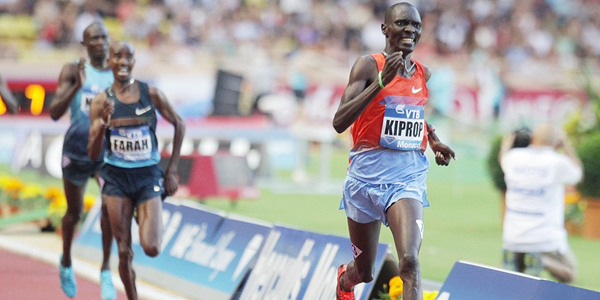 Farah and Kiprop again headline with other main protagonists featuring Olympic champion Taoufik Makhloufi. Although we will speculate over what these men could run, the feat which they are attempting to achieve is far from easy. Naturally, as they are world records, these fastest times ever run are certainly of impressive stature, yet the discussion remains over which are the strongest of the world records and which are the most vulnerable to be broken. Before the rise of David Rudisha in 2009-2010, many would have said that the mark of 1:41.11 set by Wilson Kipketer was far above the ability of many athletes for years to come due to its such outstanding level. However, this shows that these unimaginable feats can be surpassed and will be given time, but what I find most interesting of all is which ons will stand the longest. One of the longest standing world records – although it looks to be under threat currently – is the men’s triple jump world record of 18m 29cm set by Jonathan Edwards. This shows it to be of great caliber which may be equated to the men’s 5000m in the distance community, set back in 2004 by Kenenisa Bekele. This mark of 12:37.35 has not even been mentioned to have the potential to be broken any time soon sine it was set, the closest which anyone has come came in 2012 by Dejene Gebremeskel who ran 12:46.81 in Paris. Due to his status in the running world, Farah seems to be one of the only athletes who may tackle this record, however it is only just slower than the infamous 4 minute mile pace which many pro athletes are only just capable of. With each lap being covered in 60.59 seconds, it really shows the task at hand and the real quality of Bekele, but for me, this is still on par with the level at which El Guerrouj’s 1500m WR is at. Guerrouj is the only runner to have ever averaged under 55 seconds – 54.93 seconds actually – per lap over 1500m and this is certainly something, even of Kiprop’s class which will be incredibly difficult to replicate. Although these are examples of very strong world records which I cannot see being broken any time soon, there are also many other records which I believe do stand chance of being broken, although I do believe that they will require the perfect race with the perfect pace being set. 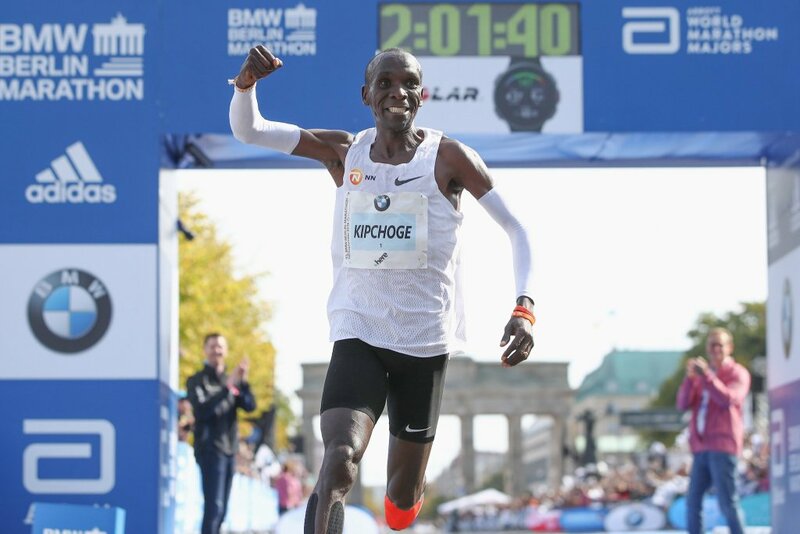 This was most recently seen in the 2015 Prefonteine Classic over the 10,000m where Farah was victorious (26:50.97). There has been lots of talk recently that the 26:17.53 time set in 2005 is one of the weaker marks which was set by Bekele, this was reinstated after the seemingly better record over the 2 Miles indoors run by Bekele was broken by Farah in Birmingham at the beginning of this year. Here, Farah ran 8:03.40, bettering Bekele’s 8:04.35 showing signs of hope that Farah may possess the ability to go on and break others WR’s set by Bekele. Despite this possibility, Farah would come up considerably short over the 10,000m in Eugene, running way outside the required 63.10 seconds per lap. This brings me back to the reasons why many of the current world records haven’t been touched over the last decade, the point being made strongly by Farah himself. With the records being of such as high caliber, the athletes chasing these records require other athletes to help set out and hit the required pace to drag the other athletes along. However, Farah would go onto make justified complaints that the ability and depth within distance running in its current state is not there to be able to take these athletes far enough into the race to ensure the pace. Instead, the pacers struggle to hit the asked for pace and results in the pace dropping off considerably during the middle of the race. Although this may be the case, I don’t believe that this should be a defining factor against why the records and fast times cannot be achieved. When looking back over the footage of the current marks set by Bekele, it is evident that he ran the majority of the records alone and out front by himself whilst he pushed the pace alone and still managed to break the records. 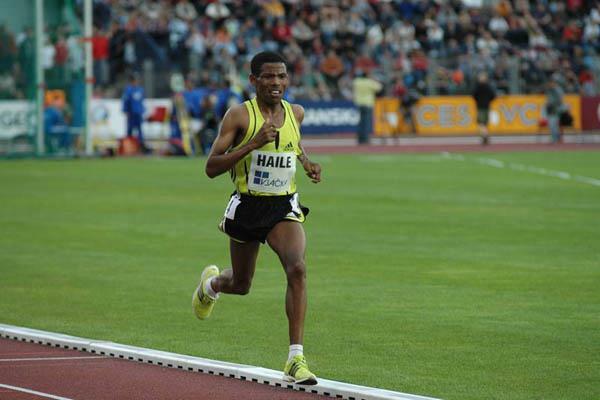 This leads me onto talking about arguably the greatest distance runner in history, Haile Gebrselassie. Although many of Gebrselassie’s 27 world best marks have subsequently been surpassed – mainly by his compatriot Bekele – Gebrselassie was one of the strongest and best long distance runners who often may feel hard done by the fact that he had the ability to run faster times than he did. In his game changing 12:39.36 5000m, he ran almost the entire race by himself, covering the last mile of the race in well under 4 minutes. Here, Gebrselassie would be well within his right to argue that he had the ability to run faster if he was in a better paced race along with the fact that he may have been able to get into better shape later on in his career if he was not hit so heavily with injury. With all of this being said, I sadly do not believe that Farah has or will have the ability to run as fast as Bekele or Gebrselassie over the longer 5000m and 10,000m distances despite already proving himself in the shorter 1500m and 2 Mile events. The reality if the matter is that the reward and honour of breaking a world record nowadays is not the same as it was 10 or 20 years ago. It would be great to see Farah replicating the British record breaking days of Cram, Coe and Ovett but the financial gains and reward of winning world championships is too great for athletes to give up large amounts of their seasons in chasing the clock.